So you are getting married or you are the best man of the soon-to-be groom and what does a wedding mean…that’s right the time honored tradition of the bachelor party. In years gone by, the bachelor party usually meant lots of drinking and of course strippers. But in recent years men and women alike are waiting to get married a little later in life and the college “daze” mentality of drinking all night, watching women take their clothes off, and nursing hangovers well into the next night has been giving way to more tame nights out with the guys. Just because your bachelor party doesn’t include hangovers, strippers and parts of the night that can only be recalled through blurry cell phone pictures doesn’t mean it needs to be tame. Many times the best man wait until the last minute and takes the road of least resistance, well who really wants that path to haunt them for years to come? What if there was a clean version of the bachelor party where your friends were thanking you the next day rather than asking where’s the Advil? Imagine if you could not only talk about the bachelor party with your soon-to-be wife, but could share the pictures from the party. Here are 5 ideas for a bachelor adventure that can take care of all of the above. If the soon-to-be groom is a fan of the great outdoors why not an adventure with the boys under the open sky. Of course you can pack as much beer as needed but don’t forget the essentials or let your adventure planner take care of that for you. 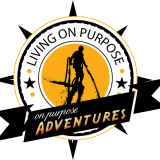 On Purpose Adventures organizes weekday and weekend trips throughout the country and can make sure everything is thought of so you can just enjoy the weekend. While on your great outdoor adventure, spend the day with your buddies hitting the rapids. All experience levels can be accommodated and the thrill is something you’ll be talking about long after the trip. Why not throw in engraved Swiss army knives or an engraved compass, groomsman/bachelor party gifts that are sure to come in handy on the adventure and have them remember the time every time they see the gift. What better way to relieve a little pre-wedding stress than shooting your buddies in the back…..with paintballs of course. Private parties are easily arranged with your adventure planner and equipment, drinks, food, photos, and video can all be included in your adventure. You can mix things up by playing scenario games like capture the flag or last man standing or go all out and try your hand at some night paintball. How about just a relaxing weekend with boys in a cabin on the lake? Food, lodging, fishing guide, photos and video call all be provided by your adventure planner however the fish are up to you. You might want to go a little more adventurous and spring for some quail hunting or even alligator hunting depending on the season but no matter how you pack the weekend it’s sure to be fun and relaxing……you can worry about who is sitting next to who at the reception when you get back. You’re about to take the plunge figuratively so why not try it literally. Nothing like free falling towards the earth at over 100 mph. Tandem jumps are offered at most places for those who have never been before. Sure your wedding video is going to be amazing and you are your soon to be wife will watch it and show it off to your kids. But this a bachelor party video that you won’t be able to wait to post up to Facebook. An adventure planner can make sure everything goes smoothly and you will have lots of photos and video as a keepsake. Why celebrate your passage from bachelorhood to marriage with a day on the high ropes course. Challenge, or ropes, courses are a great way to connect with your buddies and see if you have what it takes in problem solving, cooperation, patience and mind-over-body focus. There are plenty of things to do surrounding this adventure and your planner can take care of everything from lunch to setting up the post challenge celebration. Of course being able to show of the pictures of your bachelor party to your new father-in-law may score you a few extra points as well.